Boston Mayor Martin Walsh signed an ordinance Monday that will increase access to voter registration materials across the city. The ordinance, which was proposed by District 8 City Councilor Josh Zakim, aims to improve accessibility of voting materials and promote civic engagement in Boston. Kyndal Feinman, Zakim’s chief of staff, said the ordinance requires public locations, from community centers to public high schools, to make voter registration forms available and visible in central areas. “Councilor Zakim was really honored that the mayor was supportive and really grateful for [this] support of this bill, which seeks to make voter registration a little bit easier for everyone in the city,” Feinman said. 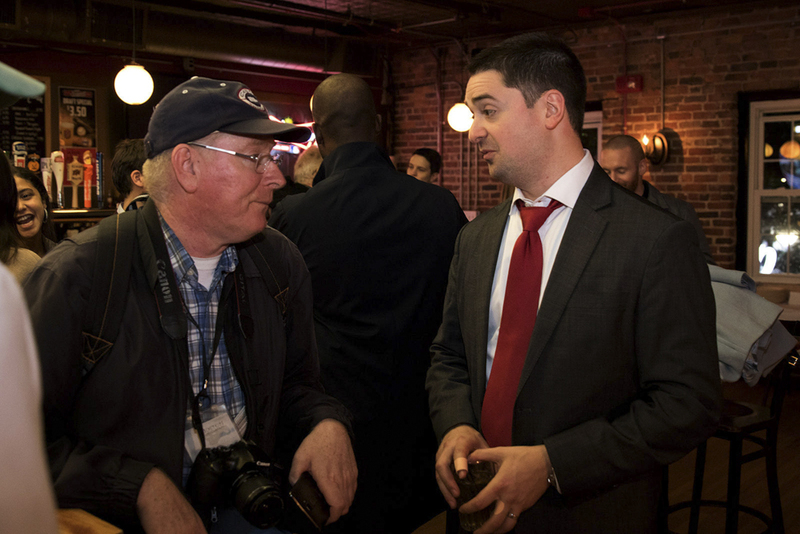 Zakim held a hearing last year, where he took suggestions from department heads, Boston residents, advocacy groups and people working in the spaces that are now going to be open for voter registration, Feinman said. “So, we really took what we were hearing in that initial conversation and figured out what we could do to move it forward,” she said. Eneida Tavares, a senior data analyst for the Boston Election Department, wrote in an email that she is proud Boston is taking steps to improve voter access through passing this ordinance. “It’s always great to be part of making voting more accessible to every eligible individual and also to have the opportunity to strengthen our partnership with other city agencies in order to bring the best possible services to the residents of Boston,” Tavares wrote. Adam Friedman, executive director of Voter Choice Massachusetts, a nonprofit voter advocacy organization, said he applauds Zakim and Walsh’s efforts. Otter Quaking Aspen, 45, of Dorchester, said he is supportive of the ordinance. Feinman said she was worried that voter registration numbers have been declining over the last few years. Feinman said some residents reported during the last presidential election that they were unable to participate due to missing the voter registration cutoff. “[We also heard from] folks who had moved, who thought that they were registered in their location and they weren’t,” Feinman said. Although most voter registration laws are governed by the state, Feinman said, Zakim’s office took a step back and asked what they could do as a city to make it easier for residents to participate in the democratic process. Due to the high number of renters in Boston, updating addresses is often the biggest issue among those who wish to vote in the city. Putting registration forms in visible places helps to bring it to the front of people’s minds, Feinman said. Claire Moriarty, 37, said she thinks everyone should fulfil their civil duty of voting. Dawn West, 42, of Roxbury, said she encourages the accessibility of voter registration materials for young people, like how her daughter’s teacher hands out voter registration forms to students who turn 18 years old. “I think Massachusetts is one of the most, if not the most, politically active state, and I’d have to see declining voter numbers because of silly and preventable reasons like people forgetting to register,” she said.